In addition to the exclusive Directors' Club we were asked to design the Eighty-Two Club for the Aston Villa Trinity Stand. The space is split into a formal restaurant and bar area with hot food and canapés. 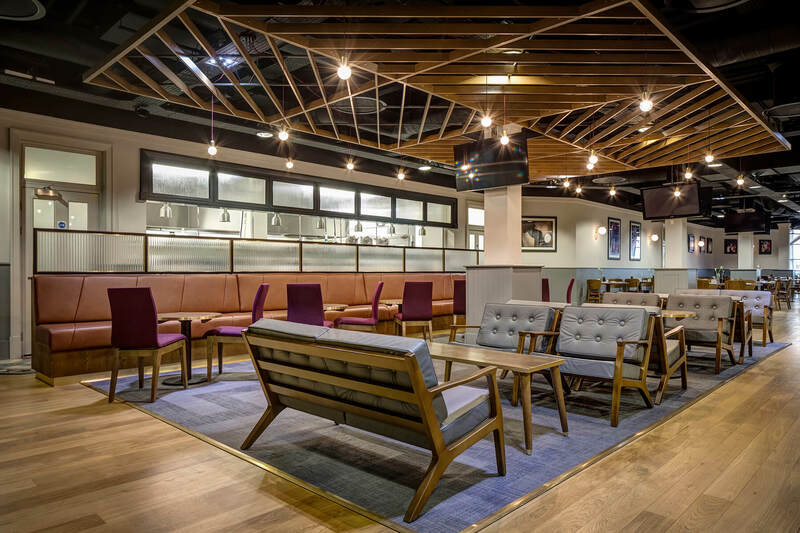 In the restaurant, there is a comfortable lounge area for visitors just inside the entrance which has an Aston Villa signature diagonal wood ceiling raft. 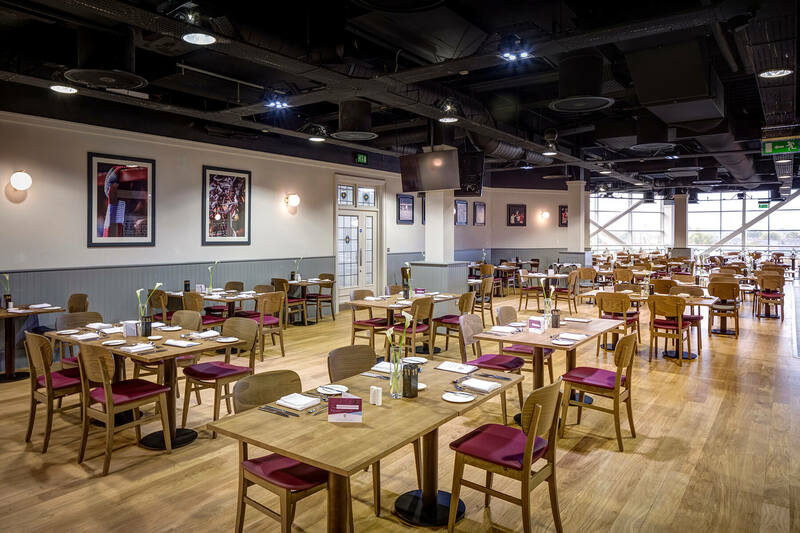 The diners then go through into a smart dining area with images from Aston Villa's heritage on the wall. The bar area is a light and airy space which features posing tables and flexible seating, allowing the space to host special events on match days. The food service is less formal but still with the high standards of the Eight-Two Club restaurant. 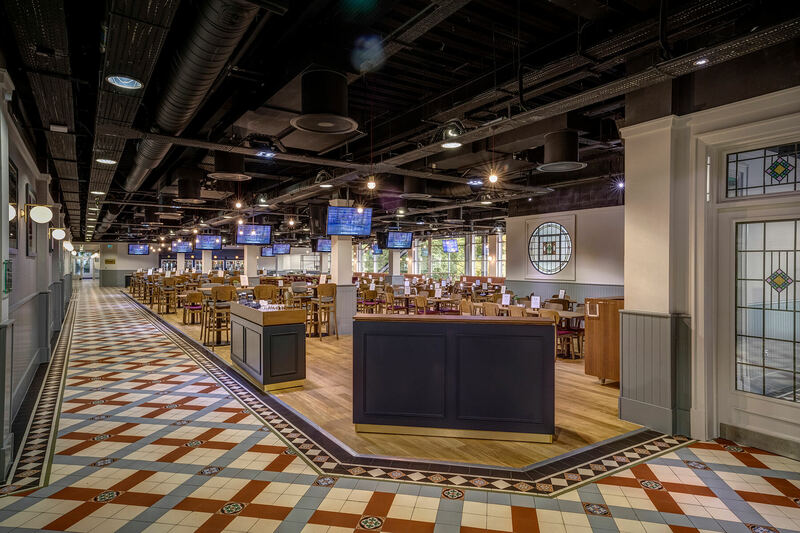 Visitors can order from their table whilst watching all the latest football news on the TV screens mounted in the ceiling.